The history of south Galway is not the history of its towns and villages alone. 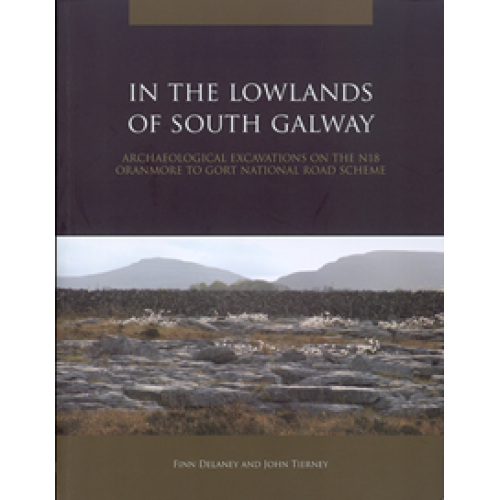 That much is clear from the archaeological discoveries described in this book by John Tierney and Finn Delaney of Eachtra Archaeological Projects. The new road has brought to light many forgotten stories about the people who occupied the countryside in rural south Galway in prehistory and early history. The book presents stories from the Bronze Age, the early medieval period and the early modern period in particular. Thousands of years separate the Bronze Age people who used the burnt mounds around Caherweelder from the early medieval people buried at Owenbristy, or from the tenants of the pre-Famine cottages in Roevehagh. Each of these communities led very different lives different from each other's and, of course, very different from our own. What they have in common, however, is that they all left abiding marks in the landscape, capable of being read and interpreted by contemporary archaeologists, and retold in this book.